A bench headed by Chief Justice Dipak Misra has agreed to hear a petition filed by a law student challenging the ban (since August 2013) on entry of law interns into the Supreme Court courtrooms/premises on ‘miscellaneous days’ --Monday and Friday-- of every week when several public interest litigations are heard. “Prohibition of law interns on miscellaneous days hampers the scope of learning expected out of litigation internships as most of the important arguments and leading cases are listed and heard on these two days only, therefore denying interns entry on those specific days, defeats the very objective of a legal internship and the provision. Further, such a denial vide the notification also violates the fundamental rights of the law interns”, said the petition by Swapnil Tripathi, a fourth year law student pursuing BBA.LLB (Hons.) at National Law University, Jodhpur. The matter will be heard after two weeks. 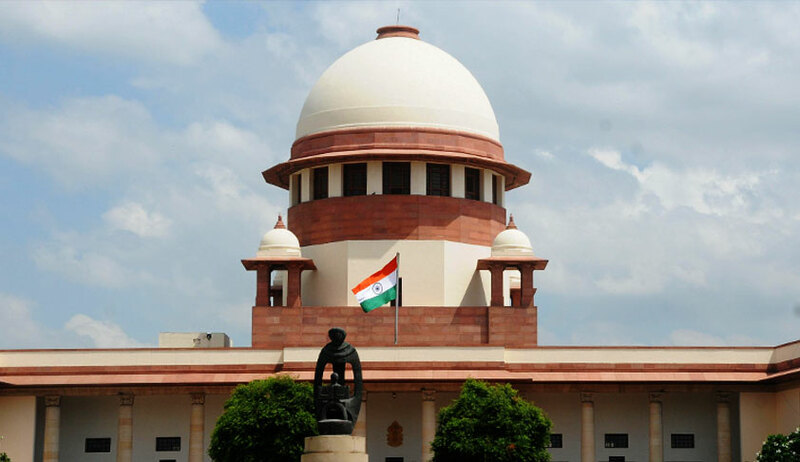 The bench which also comprised of justices A M Khanwilkar and D Y Chandrachud has sought the assistance of Attorney General K K Vengopal in the issue. Tripathi has questioned the validity of the notification issued by Supreme Court Registry “vide notice dated 21.08.2013 which prohibited law interns from entering the Court premises on Miscellanoues Days i.e. Monday and Friday”. Tripathi’s petition was listed on Friday ( February 9th) along with the pleas filed by senior advocate Indira Jaising and Mathew Nedumpara who had demanded live telecast of important case proceedings in the Supreme Court. This was because one of Tripathi’s prayer was -- “Issue a writ of mandamus, or any other writ or direction to the Respondent to construct live streaming rooms within the Supreme Court premises granting access to legal interns”. When his turn came, Tripathi categorically told the bench that his main issue and concern was the entry ban on law interns on miscellaneous days which was a violation of Article 14 of the constitution. CJI Misra then said “yes. Serve a copy of your petition to the Central Agency, we are calling for the assistance of the AG in this matter also”. The bench said in its order : “Let each of the writ petitioners supply a copy of the writ petition to the Central Agency, which will provide them to the WP(C)No.1232/17 etc.etc. office of the learned Attorney General. The learned Attorney General is requested to assist the Court in these matters. Let these matters be listed after two weeks”. “Research into law schools in India points out that India is home to over 1200 law schools which are responsible for the production of the upcoming generations of lawyers for the country. Legal education throughout the world comprises of two basic elements, classroom education and on-hand practical experience through legal Internships”, said the petition. “The importance of internships is duly emphasized upon by the governing bodies of legal education in the country as well. Rule 25 of the Bar Council of India Education Rules, 2008 requires law students to intern under advocates of the Appellate Courts during the academic year. Such internship experiences essentially include regular visits to the Courts under the tutelage of experienced practicing Advocates”, Tripathi’s petition says. Quash the notification dated 21.08.2013 issued by the Supreme Court of India, Registry. Issue a writ of mandamus, or any other writ or direction to the Respondent to construct live streaming rooms within the Supreme Court premises granting access to legal interns. Issue any other requisite guidelines to facilitate witnessing of proceedings for the interns. Pass such other and further relief(s) which this Hon'ble Court may deem fit and proper in the facts and circumstances of the case.